There is a page for readers to pose their own questions, an area to post unwanted disability items (the classifieds section), a resources profile page for disability companies to share useful products/services, and the Disability Horizons ‘Travel Zone’. In honour of the Paralympic Games, Disability Horizons has graciously agreed to share some of their stories with us. The insights continue to grow our understanding of how people around the world have common and uncommon experiences in managing life limiting conditions. 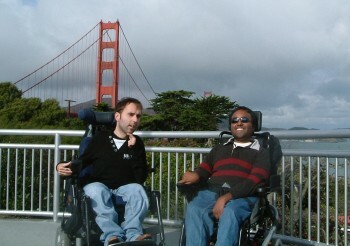 The Dynamic Duo at Disability Horizons are breaking new ground and give new meaning to the old phrase “walk the walk”.